* POWERFUL ANABOLIC AND ANTI-CATABOLIC FORMULA! * DIRECTLY BOOSTS PROTEIN SYNTHESIS! * ENHANCED SOLUBILITY AND FLAVOR! * ENERGIZE YOUR MUSCLES, IMPROVE RECOVERY! The Branched-Chain Amino Acids are essential both in a strict sense – our bodies can’t manufacture them – and because during stress like training or lack of optimal nutrition they are used up first by the muscles. Leucine is one of the essential aminos that belongs to the BCAA group. Cutting-edge scientific results prove that leucine is one of the most important aminos, because it directly stimulates skeletal muscle protein synthesis – high leucine levels in the body is a signal for the anabolic state. Leucine promotes recovery and protects muscle tissues from breakdown (anti-catabolic effect). Leucine has been found useful even when the overall dietary protein intake is high, and even when you combine it with fast digesting protein shakes. 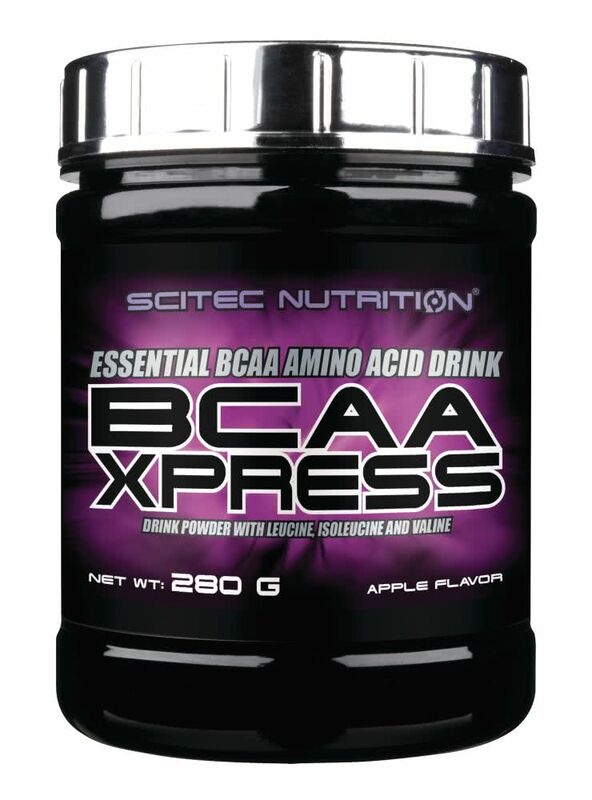 BCAA’s can also be used by muscles for energy when engaging in high intensity activity. L-leucine, citric acid anhydrous, L-isoleucine, L-valine, pink lemonade flavor, aspartame*. Apple flavor: L-leucine, citric acid anhydrous, L-isoleucine, L-valine, apple flavor, aspartame*. DIRECTIONS: Take 1-3 servings a day: before, during or after training, and at any other catabolic time like before going to bed. Mix with water and shake vigorously for 30 seconds! Letting the drink sit for a while also increases the solution of the active ingredients.